Here’s the thing…whether you want to create stunning works of art, take adorable photos of your kids, or keep your photos organized, there’s an app for that. In fact, there are probably TONS of apps for that. That’s kind of the problem, knowing which apps to select from the multitude available can be overwhelming…my book to the rescue! My book will prevent you from wasting money on apps you don’t use, and will save you time and frustration as well. I’ve spent countless hours testing these apps; I’m sharing with you here the best of the best, and how to use them. 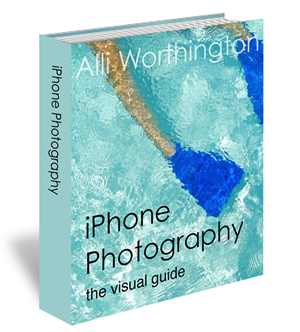 The book is chock full o’ photo advice, too…it’s the ultimate visual guide to iPhone photography! If you would like to fall in love with your iPhone all over again, rekindle that creative spark, buy iPhone Photography: The Visual Guide! Five Is the Magic Number: I'm Technically Cancer Free!